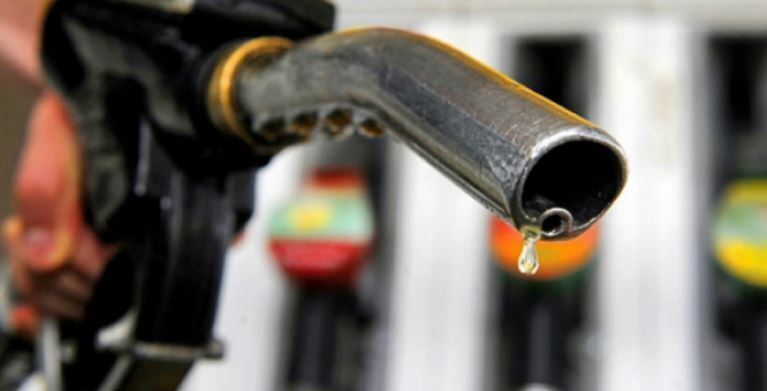 Kenyan motorists and households have been dealt a blow after the Energy Regulatory Commission on Sunday announced increased fuel prices. In its latest review, the energy regulator announced super petrol will go up by Sh.5.25, diesel by Sh.5.52 and kerosene by Sh.2.76 per litre in Nairobi. The increase means super petrol, diesel and kerosene will retail at Sh106.60, Sh102.13, and Sh102.22 respectively in the Capital Nairobi. In Mombasa, the new prices for Super Petrol, Diesel and Kerosene are now Sh103.98, Sh99.51 and Sh99.60 respectively. 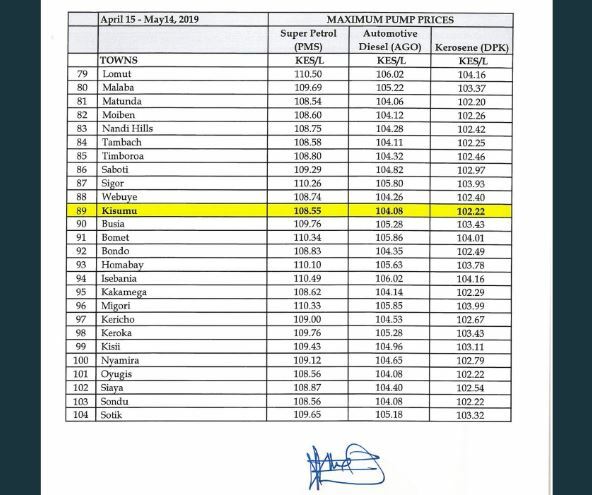 These new pump prices include the 8% government imposed tax that was passed through the Finance Act, 2018. 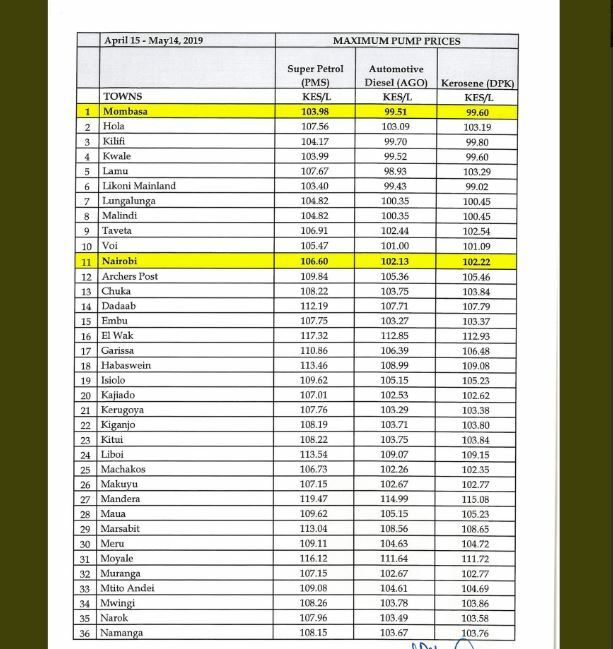 “The changes in this month’s prices have been as a consequence of the average landed cost of imported Super Petrol increasing by 9.14%from US$ 568.55 per ton in February 2019 to US$ 620.54 per ton in March 2019; Diesel increasing by 11.19% from US$ 561.64 per ton to US$ 624.51 per ton and Kerosene increasing by 1.88% from US$ 650.29 per ton to US$ 662.55 per ton,” said ERC. The new prices will be in force from today, April 15 to May 14, 2019. 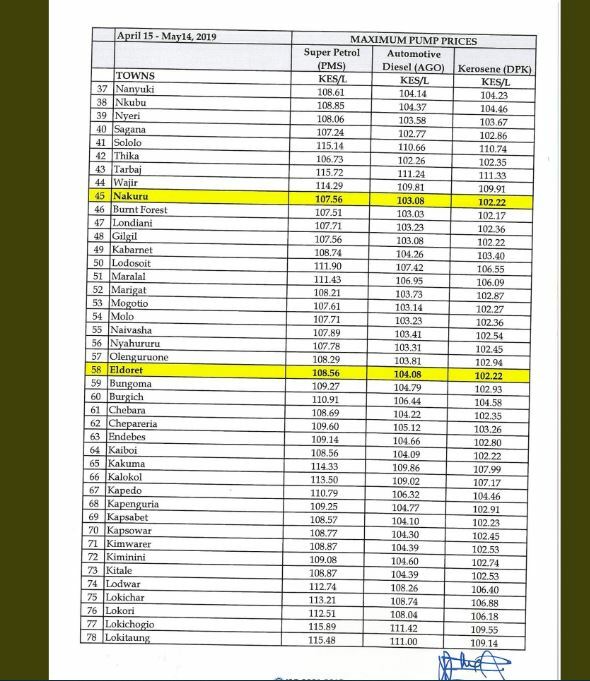 The timing of the increase means Kenyans will have to dig deeper during the forthcoming Easter holidays when most people usually travel to the countryside.